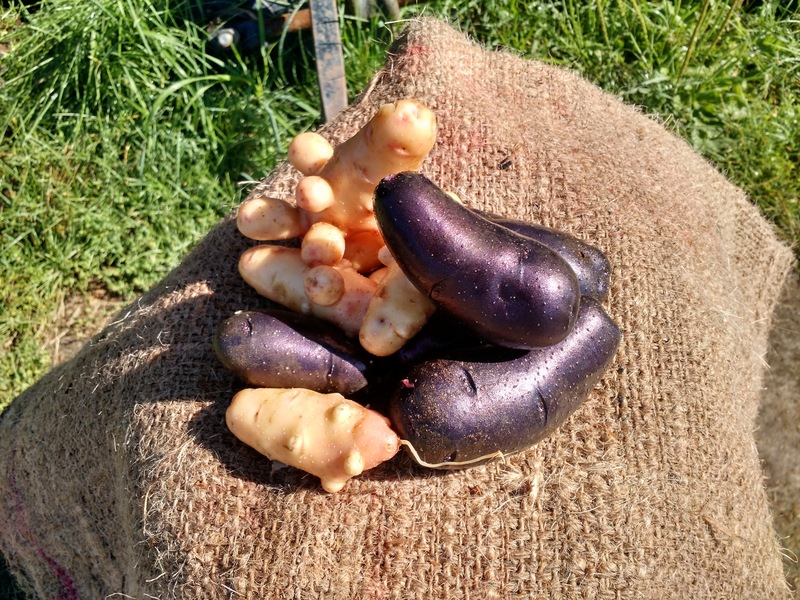 Mixed heirloom fingerling potatoes. Varieties available each week may include pink skin/white flesh, blue skin/blue flesh, yellow skin/yellow flesh. All are great for roasting. The blue variety makes some very impressive-looking oven fries. Note: Blue are done for the season. Wash, do not peel. Cut in halves or quarters, lay out on heavily greased sheet pan. Salt liberally, add herbs of your choice. Place in hot oven (450F) covered for 30 min. Uncover and continue roasting until golden brown.